John Wieland Homes and Neighborhoods is pleased to announce the opening of Holding Village in Wake Forest. Priced from the $300,000s, this latest addition from John Wieland Homes and Neighborhoods offers charming, traditionally-styled homes thoughtfully designed for the way buyers want to live. Holding Village blends modern living with traditional charm amidst beautiful, natural surroundings. At the heart of the neighborhood is the thirteen-acre Holding Lake, the perfect place for recreation or relaxation. Surrounding the lake, the neighborhood also features thirty-five acres of parks and green spaces, a lakeside pavilion, free-form pool, multi-purpose ball fields and more than three miles of walking trails connecting to the Wake Forest greenway system. Holding Village is just minutes from historic downtown Wake Forest and is easily accessible to downtown Raleigh where residents can find some of the best dining, shopping and entertainment the Triangle area has to offer. The first new home offerings include a distinctive portfolio of innovative designs from the John Wieland Homes and Neighborhoods Signature Portfolio. In addition, all new John Wieland homes at Holding Village will be protected by the Wieland 5 year – 20 year Warranty. 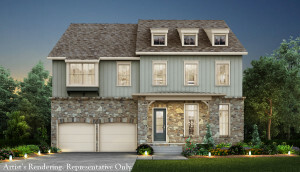 Interested buyers can find more information or schedule a tour by calling 919-362-8712 or visiting www.jwhomes.com. With a legacy dating back to 1970, John Wieland Homes and Neighborhoods is currently building in 40 neighborhoods in Atlanta, GA; Charleston, SC; Charlotte and Raleigh, NC and Nashville, TN. 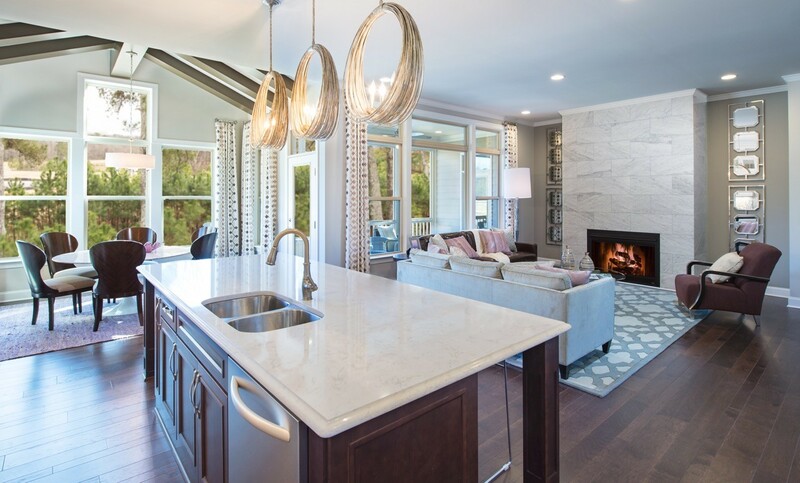 In its four-decade history, the John Wieland Homes and Neighborhoods brand has won more than 600 awards for excellence, including National Builder of the Year, the National Housing Quality Award and the industry’s top award in 2005, America’s Best Builder. Widely recognized for excellence in the move-up market for its award-winning home design, quality and neighborhood planning, the John Wieland Homes and Neighborhoods portfolio offers homes and townhomes from $200,000 to over $1 million. The John Wieland Homes and Neighborhoods brand is owned and operated by JW Homes, LLC, which is a partnership between the John Wieland family and Wheelock Street Capital, a real estate investment fund based in Greenwich, CT. For more information, visit jwhomes.com. This entry was posted in New Home News, North Carolina, Raleigh new homes and tagged Holding Village, John Wieland Homes and Neighborhoods, new homes in Raleigh, Raleigh on November 23, 2015 by John Wieland Homes and Neighborhoods. John Wieland Homes and Neighborhoods is excited to announce that two of its model homes, The Clairemont and The Dawson, recently won a gold and a bronze award in their respective categories at the 50th Annual Wake County Parade of Homes. With more than 250 new homes across 19 categories featured, the parade presented by the Home Builders Association of Raleigh-Wake County is North Carolina’s largest open house and the best way for the public to see the newest homes and communities throughout the Triangle. The gold award in the $451,000 – $500,000 price range category was awarded to The Clairemont model home. Located in the Raleigh neighborhood of River Run, The Clairemont is one of the most spacious floor plans with its open living area, luxurious owners’ suite and bonus room. This home’s three secondary bedrooms, four bathrooms, bonus room and finished third-floor walk up offers home buyers even more flexible living space. 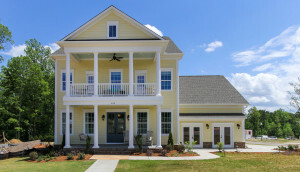 The Dawson model home received the bronze award in the $411,000 – $437,000 category and is located in the Traditions at Wake Forest neighborhood. An inviting front porch and traditional foyer greets guests to the classic charm of The Dawson, which features four bedrooms, four bathrooms, a formal dining room and a large open kitchen. Two more homes, The Donnelly and The Melbourne, were also featured in this year’s Parade of Homes. Both homes can be found in the neighborhood of WoodCreek, and are some of the builder’s most exciting and popular plans among home buyers. For more information on The Clairemont, The Dawson. The Donnelly, The Melbourne and other homes from John Wieland, visit www.jwhomes.com. To see all the winners from the 2015 Wake County Parade of Homes and for more information on the event, visit www.TriangleParadeofHomes.com. This entry was posted in Events, North Carolina, Raleigh new homes and tagged John Wieland Homes and Neighborhoods, Raleigh, wake county parade of homes on October 20, 2015 by John Wieland Homes and Neighborhoods. Now for a limited time, John Wieland Homes and Neighborhoods is offering buyers $7,500 in designer extras on select homes in the active club neighborhood of Traditions at Wake Forest. Currently, five homes in this highly regarded neighborhood feature this incredible offer, so now is the perfect time to own a home from legendary home builder John Wieland. 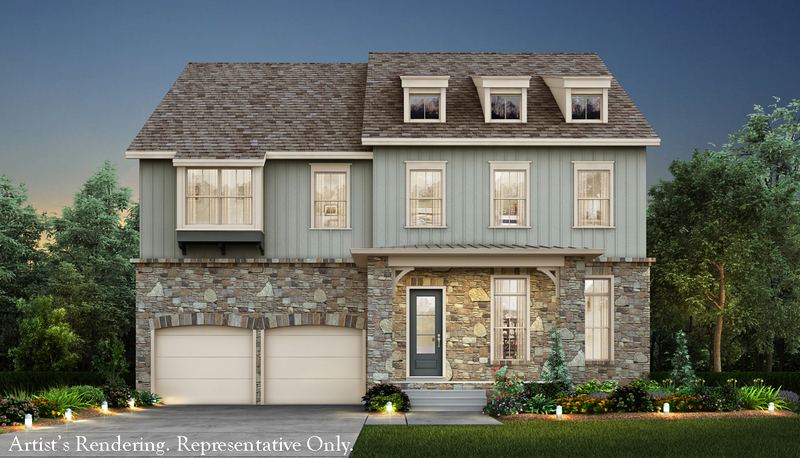 The Armstrong floor plan, featured in The Bridgewater enclave of Traditions at Wake Forest, is priced at $699,990.This four bedrooms, three-and-a-half baths home has more than 4,400 square feet of luxurious living space and exceptional detail. Outside, stacked stone details and gracious front porch with double door entry makes a grand statement, while the gourmet kitchen with large island and sweeping views of the two story family room with stone fireplace continues to wow on the inside. A private first floor owner’s suite complete with luxury spa bath provides a calming oasis, and upstairs the three additional bedrooms and recreation room offer plenty of room for fun or relaxation. The Groves enclave of Traditions features The Douglas, a five bedrooms, four baths home priced at $432,000. This spacious yet charming home’s open floor plan has the perfect combination of places to gather and places to get away. Family and guests can mingle with ease in the large kitchen and open great room that overlook the inviting screened porch, while the owners can find solitude upstairs in the owner’s suite with spa bath. The convenient mudroom entry and second floor bonus room make perfect spaces for extra storage. Also located in The Groves is The Donnelly. This home has five bedrooms, four baths and is priced at $459,900. Bright open living areas and unique architectural details make The Donnelly one of the most popular and versatile plans. Entertain effortlessly in the gourmet kitchen and formal dining room combination, or bring the party outside with the large screened porch. A cozy loft and oversized bonus room provide plenty of storage space or the perfect place to get away from it all. The Darien is a home with a charming, classic style located in The Groves enclave priced at $479,900. The spacious cook’s kitchen with oversized island and gracious keeping room overlook the great room and dining room. The large unfinished bonus room allows buyers the chance to make this home truly their own, with this home’s available fourth bedroom option. The owner’s suite can also be even more luxurious with the addition of the optional sitting room, and an unfinished basement lets owners personalize this home even more. The fourth home in The Groves offering the promotion is The Clairemont. Priced at $469,900, this home features four bedrooms, three-and-a-half baths and plenty of flexible space to work, play and grow. As one of the most spacious plans, The Clairemont’s first floor study easily doubles as a guest suite, while the open living area has room to gather or spread out to the easily-accessible screened porch for a breath of fresh air. Upstairs, there is plenty of room for everyone and the bonus room provides even more space. An unfinished third floor walk up is ideal for storage or future expansion. Take advantage of the Designer Extras promotion today, and personalize a home with help of a dedicated design consultant at the New Home Design Studio. Plus, every new home is protected by the Wieland 5 Year – 20 Year Warranty. For more information, visit www.JWHomes.com. *Offer valid only on new John Wieland market home purchases of The Armstrong, The Douglas, The Donnelly, The Darien and The Clairemont contracted by October 25, 2015 and closed by November 25, 2015.Extras may be used towards a refrigerator, interior blinds, interior paint or fence. Offer not valid on pre-sale contracts. Offer must be presented prior to writing a purchase agreement to qualify. May not be combined with any other offer or discount. See Licensed Sales Professional for details. Subject to changes, errors and omissions. This entry was posted in North Carolina, Raleigh new homes and tagged buyer-incentive, John Wieland Homes and Neighborhoods, Raleigh on September 25, 2015 by John Wieland Homes and Neighborhoods. John Wieland Homes and Neighborhoods is thrilled to announce the opening of two designer model homes at WoodCreek. Located in Holly Springs, home buyers can now tour The Donnelly and The Melbourne Designer Models, open daily. 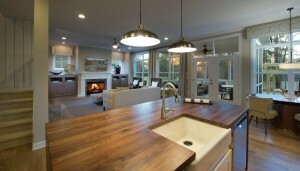 Each model home combines innovative design and classic styling. The Donnelly, from the Heritage Collection of the John Wieland Homes and Neighborhoods Signature Portfolio, has 3,650-plus square feet, five bedrooms and five baths. Visitors will enter the home from a welcoming front porch and be led to a beautiful great room that overlooks the breakfast room and gourmet kitchen. Featuring a striking butcher block waterfall island and a butler’s pantry that makes the formal dining room easily accessible, these spaces are perfect for entertaining. A convenient study, which can double as a guest suite, completes the first floor. Upstairs, the grand owner’s suite includes a spa bath. Three additional bedrooms offer private spaces for everyone, while the large bonus room is a perfect gathering spot. Even more awaits on the third floor with a large media room, entertaining bar, full bath and inviting crow’s nest office loft. The five bedroom, four-and-a-half bath Melbourne is part of the Signature Portfolio’s Manor Collection. With 3,725-plus square feet, the home boasts a traditional foyer entry, flanked by the formal dining room and study. Visitors then move to the bright, open living area where a gourmet kitchen, large breakfast room and spacious family room all overlook the home’s central outdoor living space. The Melbourne is uniquely designed to appeal to multi-generational households with a second living room and private guest suite is tucked away on the first floor. Upstairs, the luxurious owner’s suite is a private retreat featuring a spa-like bath and dual walk in closets. The generously sized secondary bedrooms open onto a large central recreation room, perfect for work or play. WoodCreek is a master-planned neighborhood with resort-style amenities for the whole family. Dive in the pool, workout at the fitness center, take up a friendly tennis match, challenge the neighbors on the basketball courts, explore the trails, relax by the fire at the Club and much more. Convenient to I-540 and Route 1, WoodCreek is minutes from shopping, parks, entertainment and Wake County public schools. New John Wieland homes at WoodCreek are priced from the $300,000s to $600,000s. For more information about John Wieland’s designer models and new home at WoodCreek, visit jwhomes.com/WoodCreek or call 919-362-1683. This entry was posted in New Home News, North Carolina, Raleigh new homes and tagged Carolina real estate, Raleigh, Raleigh real estate on April 20, 2015 by John Wieland Homes and Neighborhoods. North Carolina Cities Named Next Biggest Boom Towns in U.S.
Forbes, with the help of Mark Schill of Praxis Strategy Group, took the 52 largest metro areas in the country and ranked them on various data points that indicate past, present and future vitality. These data points included job growth and a range of demographic factors, such as family formation and population growth, as well as the city’s attractiveness to immigrants as places to settle, make money and start a business. Together, these data points created Forbes’ list of The Next Biggest Boom Towns in the U.S. According to the data, Raleigh has it all. The city boasts a high rate of immigration, including that of educated workers, and it has seen a healthy increase in population and the number of children. Raleigh’s job creation record is also among the best in the nation. In fact, Raleigh experienced the second-highest overall population increase and the third-highest job growth over the past two decades in the U.S.
Raleigh has also been named the No.1 city for raising a family by Forbes. This can be attributed to its low crime rate and low cost of living relative to the area’s rising level of income. In addition, the city’s affordable housing opportunities and short commute times are particularly attractive to recent college graduates and millennials who are looking to start families. Starkey Mortgage (WR Starkey Mortgage, LLP NMLSR #2146) has recently explored the millennial generation housing trend, which you can read more about on the National Builder Division blog. According to Zillow, the median list price for homes in Raleigh is $210,000, while the median sale price is a little lower at $191,800. Currently, the median household income is $46,612, which is slightly better than the national average. The city of Charlotte’s high ranking can be attributed to its commitment to building infrastructure, such as roads and cultural institutions, which are primary components to future growth. The city is also home to a bustling airport that serves major national and international routes. Charlotte also boasts low housing prices and short commute times. The median list price on Zillow for homes in Charlotte was $189,000, while the median sale price was $201,000. The median household income was only slightly higher than that of Raleigh’s at $46,975. If you’re ready to begin your home search in North Carolina, Starkey Mortgage can help you begin the loan approval process now. For more information on obtaining a new home loan, please contact Debra Watt, Senior Vice President and Regional Manager (NMLSR #346277, NC License #I-149994), at 704-246-0132 or dwatt@starkeymtg.com. Equal Housing Lender. 10800 Sikes Place #110, Charlotte, NC 28277. Branch NMLSR #93518, Branch License #L-112550-102. SC License #MLB-93518. Phone: 704-246-0132. This entry was posted in Charlotte new homes, North Carolina, Raleigh new homes and tagged Charlotte, Raleigh on June 26, 2014 by Starkey Mortgage.